CCAMP startup Bugworks are developing next-generation broad spectrum antibiotics to fight some of the most resistant superbugs around. Bugworks who have now reached the clinical trial phase is one of the few startups globally to tackle antimicrobial resistance or AMR through drug discovery. Post clinical approval, their drug will be the first antibiotic for Gram-negative bacteria. Antibiotics discovered since1962 are effective against a range of Gram-negative bacteria such as Klebsiella Pneumoniae, E. coli, Pseudomonas aeruginosa, Acinetobacter baumannii etc. known collectively by the acronym ESKAPE. 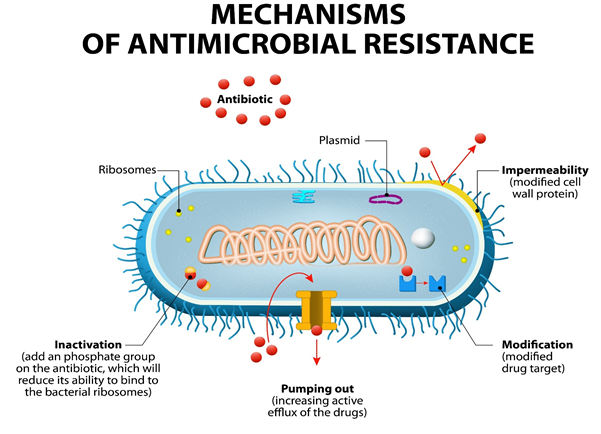 ESKAPE cause illnesses ranging from pneumonia, urinary tract infection, intra-abdominal infections, sepsis & more but with growing Anti-Microbial Resistance, (AMR) most of these drugs have been rendered ineffective for treating ESKAPE. 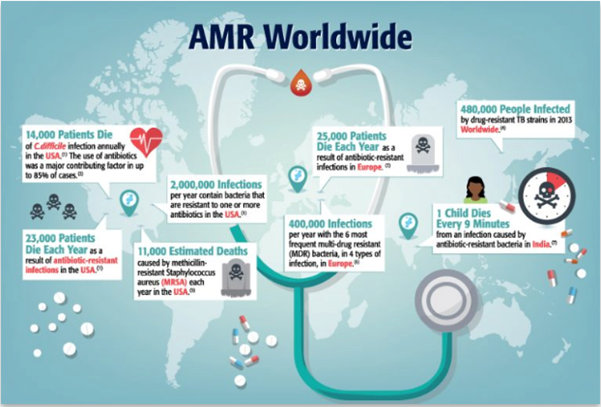 Anti-Microbial Resistance (AMR) is the new buzzword right up there with major Non-Communicable Diseases in the medical fraternity but very few amongst us know what it’s really about. 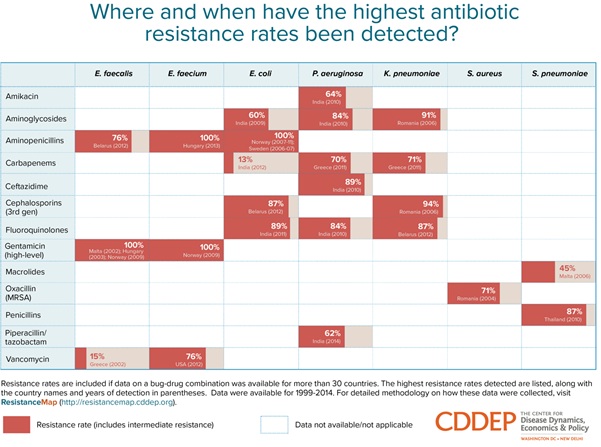 Contrary to common misconception about antibiotics it is not us who grow resistant to antibiotics; the bacteria we want to fight do, due to indiscriminate use of antibiotics. We wrongly take antibiotics to fight the common flu, antibiotics in our everyday diet, and are responsible for antibiotic build-up in the whole ecosystem through effluent, waste and landfill. You could call it the ‘plastic’ of the medical world, a quick-fix solution that we are consuming daily in some form or the other but with far-reaching consequences. The same penicillins and beta-lactams that have rescued many a life since their discovery in the 1930’s have been rendered ineffective in >80% of bacterial infections. This is a statistic not just limited to India, but across the world. The situation is just as alarming for almost all antibiotics that doctors have at their disposal. And we have reached this impasse in an alarmingly small time. 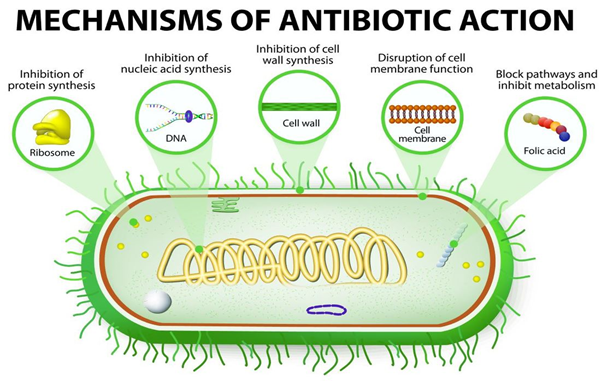 Broad spectrum antibiotics typically have five basic mechanisms of action. A bacterial cell like all other cells needs to synthesize proteins, replicate and talk to other cells in its colony. For a broad spectrum antibiotic the drug design must be based on a mechanism that targets a ‘conserved quality’ across a wide spectrum of bacterial species. Earlier antibiotics like the fluoroquinolone family, disrupt the bacterial DNA replication and are effective againstboth Gram-positive and Gram-negative bacteria. Interestingly fluroquinolones are usually the first drug to be prescribed in community based practice and in hospitals. But scientists are now recording a very high degree of resistance to this drug, up to 89% in India. Bugworks is developing Gyrox which hits the bacteria’s DNA synthesis machinery except not just one key enzyme but two simultaneously, the jab and the hook. This makes it probabilitistically very unlikely that a bacterial cell will grow resistant to Gyrox. Moreover, Gyrox’s binding site on the target being different from that of fluoroqunilone, pre-existing resistance to that family of antibiotics does not interfere with Gyrox’s effectiveness, making it an ideal drug candidate for resistant pathogens. Bacteria though are just as living an organism as we are and just like us, they evolve constantly to survive in hostile environments. Their cellular mechanism recognises a toxin and reacts in either one of two ways. Bacterial cell walls are armed with very complex efflux pumps naturally present in all bacteria and especially more powerful in gram-negative bacteria. The permeability of bacterial cell membranes are also tuned naturally. Both mechanisms are designed to prevent toxin entry. So how does Gyrox work? “The core strength of Bugworks lies in the identification of rules of chemistry such that the small-molecules we are developing are not seen by the pumps”, puts Dr. Bala. Or in other words, Gyrox is engineered to have low binding affinity with efflux pumps resulting in very low efflux mediated resistance. The drug that has proved effective in animal trials is now under the regulatory ambit with Phase 1 Clinical Trials in late 2019. In 2017, Bugworks have won the prestigious $2.5 million CARB-X grant, the only startup outside USA and Western Europe to do so, and then raised $9 million (approx..62 Cr. INR) in Series A funding from a consortium of investors - University of Tokyo Edge Capital (UTEC), 3-One-4 and Acquipharma in 2018 -- funds they plan to utilise for the soon-to-be-started clinical trials for their first candidate drug. The trials will be further supported by their follow up $3.5 million CARB-X grant in end 2018. Gyrox like other antibiotics has a series of derivatives that Bugworks are developing as a ‘basket’ of sister compounds. But this family of DNA replication inhibitors are not the only trick up their sleeve. Within the same library of small-molecule inhibitors they have now zeroed in on another novel chemical series they call Ribox. Ribox while having similar design elements as Gyrox, differ in their mechanism of action. Instead of DNA synthesis, their target is protein translation in bacterial ribosome. Ribox is currently at the discovery stage. ‘What is amazing though is that we started with what in plain sight seemed like a random library of molecules. 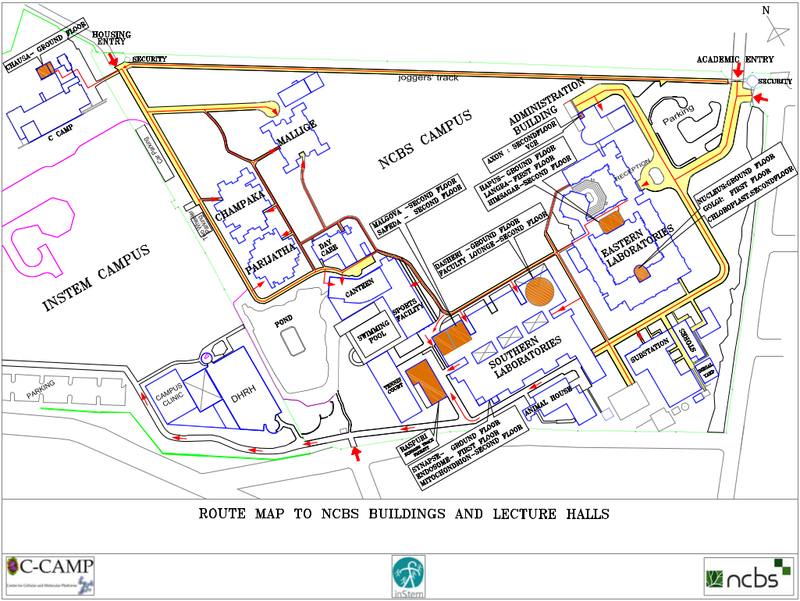 But it has ended up targeting two central infrastructure aspects of a bacterial cell.’ said Dr. Bala. But all said and done, despite the novelty in their design and mechanism of action, shelf lives of even next-generation drugs like Gyrox and Ribox will depend on how judiciously we use antibiotics. While the fact that both are 100% chemically synthesised molecules still gives enough elbow room till nature catches up, mutations at the bacterial cell wall or cell membrane level are relatively easier and could affect the uptake of the drug. Bugworks is now trying to address the permeability of the bacterial cell, which is a very important factor in antimicrobial effectiveness with a RO1 grant from NIH in 2018 as part of a consortium of investigators led by the University of Florida. Fighting nature is not a faint-hearted scientist’s job. Bugworks, a company of less than 20 members, most of whom with experience in the antibiotic discovery group of a large MNC pharmaceutical giant decided to capitalise on their strengths and incubate within CCAMP in 2014 to take on the daunting prospect of drug discovery to beat AMR; at a time when AMR was not on any public health radar. Daunting because of the arduous scientific and regulatory filtering that is a signature of the drug discovery space and also because AMR like most common man-made disasters demands a tough balancing act starting right at the lab itself. The efforts are also beginning to pay. Within two years of incubation at CCAMP they had discovered their first candidate drug and in 2018 reached GMP grade production. 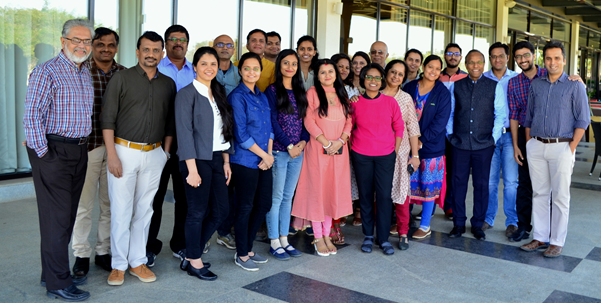 CCAMP on its part, as one of the earliest AMR innovations hub in India and located in India’s biopharma centre to boot, has fostered Bugworks’ operation as a largely virtual MNC with its nerve centre sitting at CCAMP and working partners scattered all round the globe. CCAMP’s scientific infrastructure and the proximity to some of the best brains in India have been instrumental in helping Bugworks achieve this target. ‘Designing an antibiotic is not easy. First there’s the science and then there’s the market; the responsibility to check overuse of your product to be in the game longer. Antibiotic discovery can be a perfect example for “fools treading where angels fear to go” sums up Dr. Bala. But the world is slowly waking up to the superbug threat. Bugworks being featured as one of the top 36 startups globally and the only startup in India that ‘Could Change the World’ in CB Insights 2019 report is just proof of how mainstream the concern is right now. CCAMP itself has become a hub for AMR related innovations in India. 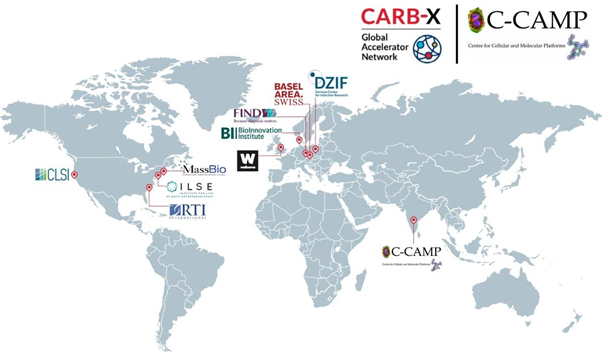 Its selection as the one of top 10 CARB-X Accelerators globally and the only one outside of N. America and Europe to tackle AMR only adds to the hope that there is light at the end of the tunnel.